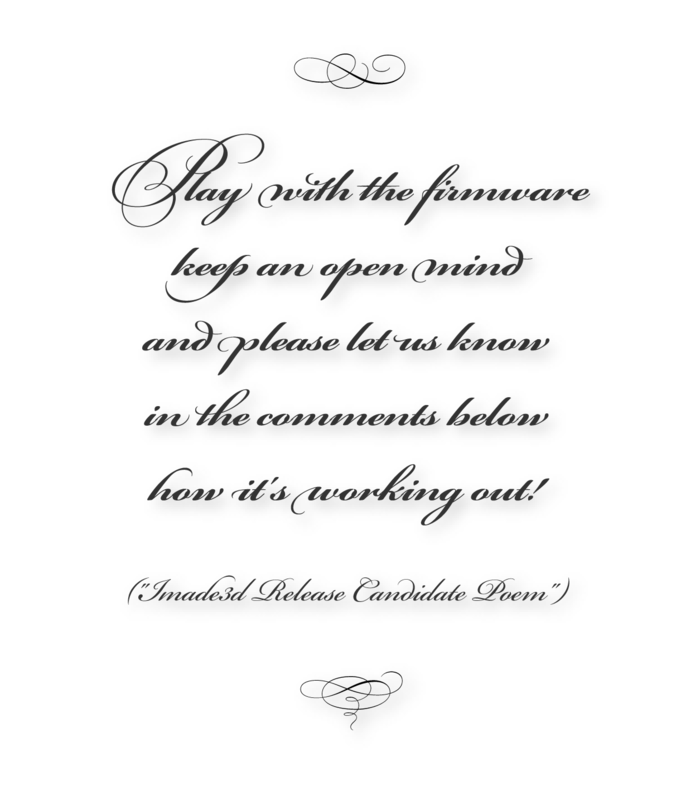 A truly significant firmware upgrade is coming to town. The JB-Marlin version 2.0 RC2 (release candidate 2) is ready to be consumed and tested! We have changed a ton of things, and we are proud as we could be. This update makes JellyBOX easier to use both for noobs and power users. In BIG ways. Follow the new and simplified Upgrade JellyBOX Firmware Through Cura guide. What’s So Cool About JB-Marlin 2.0? 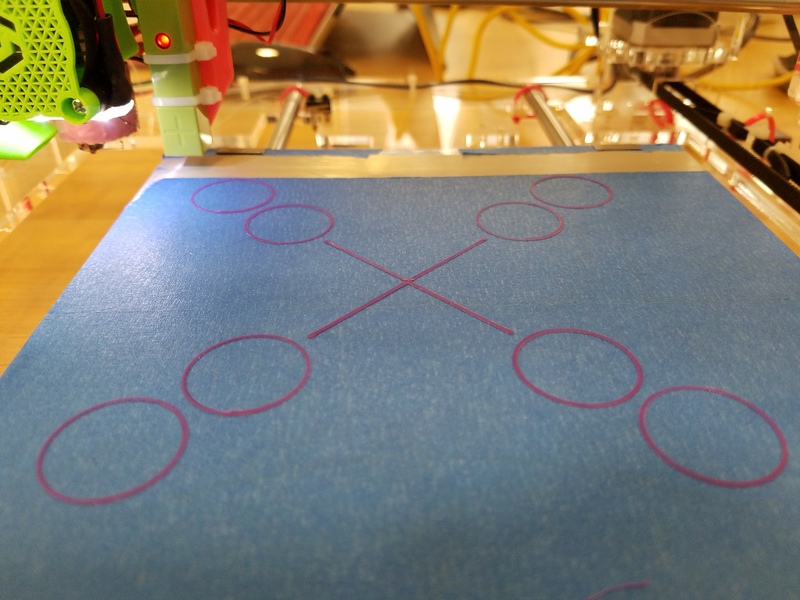 We have a completely new function that lets you tweak the 1st layer height while you’re printing. Forget Z probe offset adjustments, this IS the future. See this short video on this amazing new feature. That’s right. 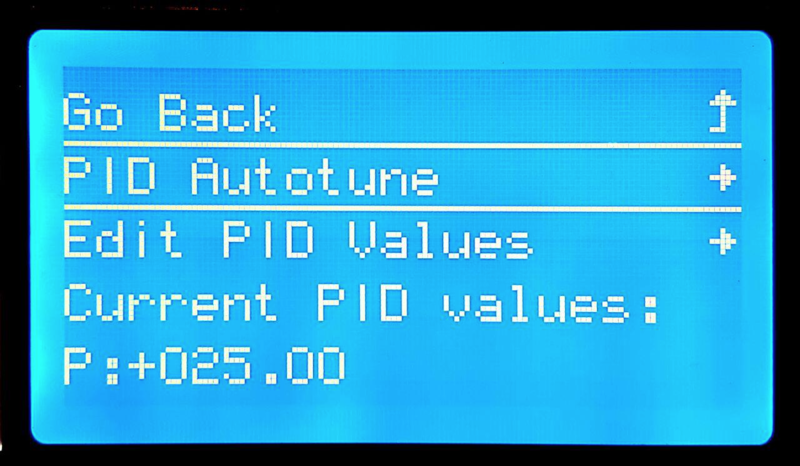 You can now run the PID from within the LCD and also save the new settings without lifting more than two fingers. Finally. A simple way to check what version of firmware you’re running and more. The homing offset of 10 is now the factory default. Yay. We tweaked the bed leveling to be more precise and reliable. There was a bug. It’s gone. Pause now parks the nozzle away from the print so you’re not oozing over your part. We tweaked the thermal protection to be more reliable. You do want this. We’ll all be less confused about firmware upgrades. There are way too many small changes, bug fixes, performance and compatibility improvements, and future function preparations to list them all. Rest assure, you want this upgrade. This is release candidate. We have been using this firmware for about three months, and it has worked flawlessly for us. It seems stable, and is recommended to everyone. However, you may still discover some bugs or rough edges. Or, you may disagree with some of the new design choices. alias What’s up with JB-Marlin and Marlin numbering? The development of JB-Marlin-2.0 was kickstarted when after two years of relative stagnation, vastly superior Marlin was released (codename Marlin 1.0) a few months ago, and the stream of improvements has not stopped since. Hand in hand, we are layering in our own development to streamline and perfect the user experience. Confusingly, we already had firmware version “1.3” a year ago by the time Marlin released “1.0”. So, we now have our own version numbering now that has nothing to do with Marlin version numbering. 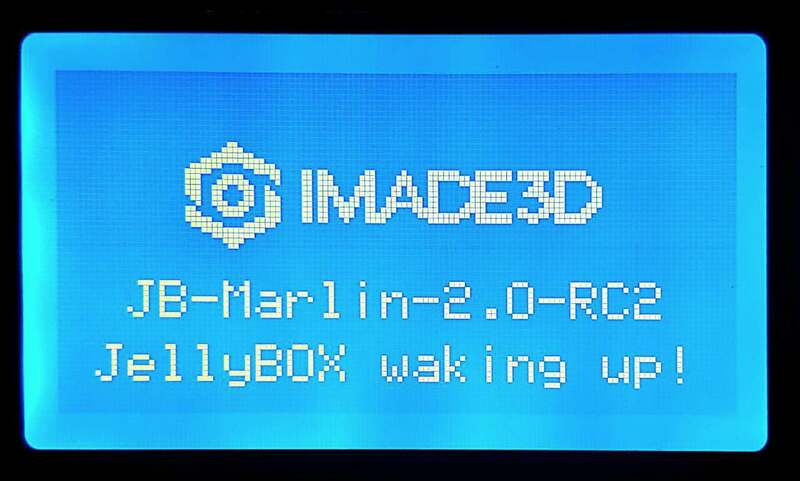 For example, JellyBOX firmware JB-Marlin-3.0 is not in any way related with any Marlin-3.0. Oh you are so right @Joel. I completely forgot about the old 8mm effective diameter drive gear. I’ll possibly compile defaults for that as well, but then it’s gonna be quite an army of versions. To figure out which drive gear you have, you can measure any of the drive gear diameters and see what the effective diameter is. 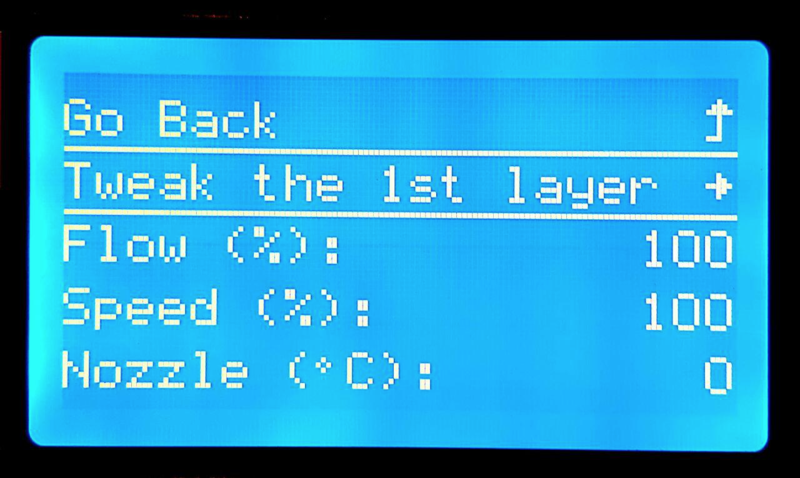 Reflashing the firmware was almost TOO easy. 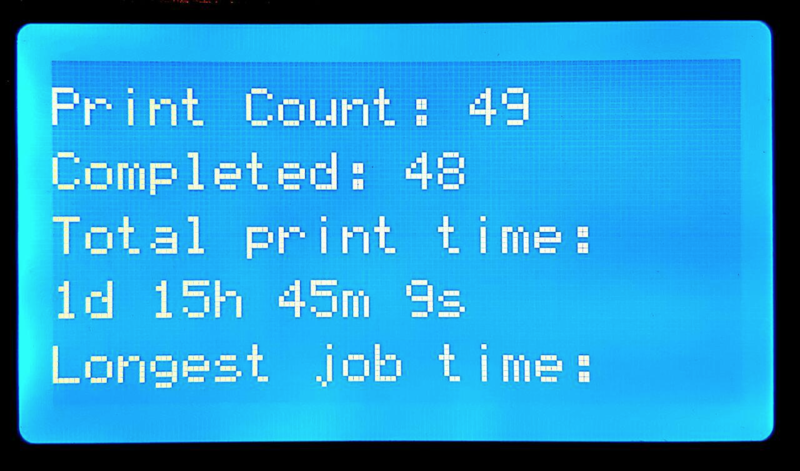 I’m flashing back to the olden days of Printrbot boards where you had to jump pins and download arcane software. You WILL lose your original Z-offset value during the update (at least, I did). But the new z-tweak calibration is glorious. Don’t forget: when you’re connected via USB your computer supplies enough power for the arduino and the LCD, but if the power switch is off you don’t have enough juice to run those stepper motors! Turn that switch on, baby! I’m loving the z-hop at the beginning and end of the homing sequence. No more gum wads (well, maybe just smaller gum wads). Continued with blank SD card. Added 20 files. Inserted and JellyBox started singing. Maybe you would call it whining. @iadams7 has done a fabulous job getting to the alpha sorting as a part of the issue. We’ll keep you posted!